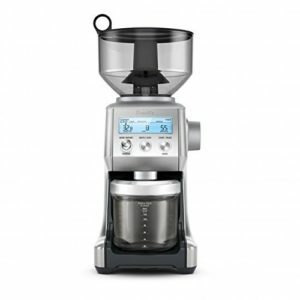 Which coffee system will keep the coffee hot without burning the coffee? Stop looking for a way to keep your French Press coffee hot! 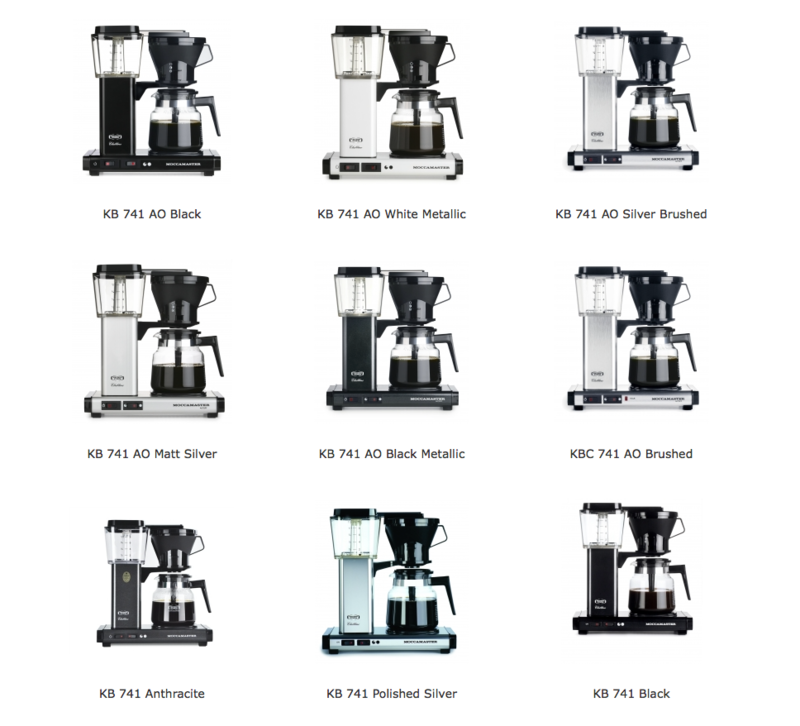 Every Moccamaster Coffee Brewer is handmade and tested in the Netherlands using only the highest quality parts, durable metal housings, and plastics that are BPA/BPS/BPF and Phthalate free. The force of water dripping from the outlet arm and shape of the brew basket have all been designed to create the perfect amount of agitation of water and grounds resulting in a coffee bloom that brings the flavor profile of your beans to life. Good-looking, high-tech coffee brewers with fancy features do not necessarily brew better coffee. Only coffee brewers that make “the perfect cup,” in compliance with the association’s strict standards and regulations, are approved. Avalible in Polished Silver and Black. 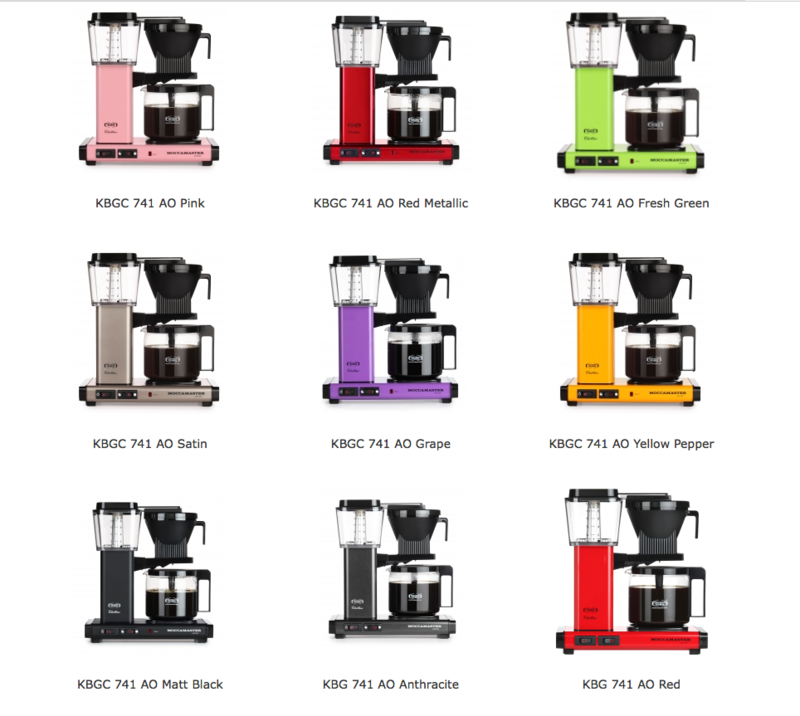 Moccamaster Thermos KBT741, an efficient vacuum coffee brewer. High power, fast, quiet, metal housing and drip stop. Brews 10 cups in 6 minutes. The therrmos jug has to be placed in the correct position for the brewing to start. This is indicated by a separate lamp. Moccamasters top model, brews 10 cups in 6 minutes. Auto shut-off feature turns off the machine after 2 hours. A security feature that we highly recommend. The automatic drip stop is a convenient feature. 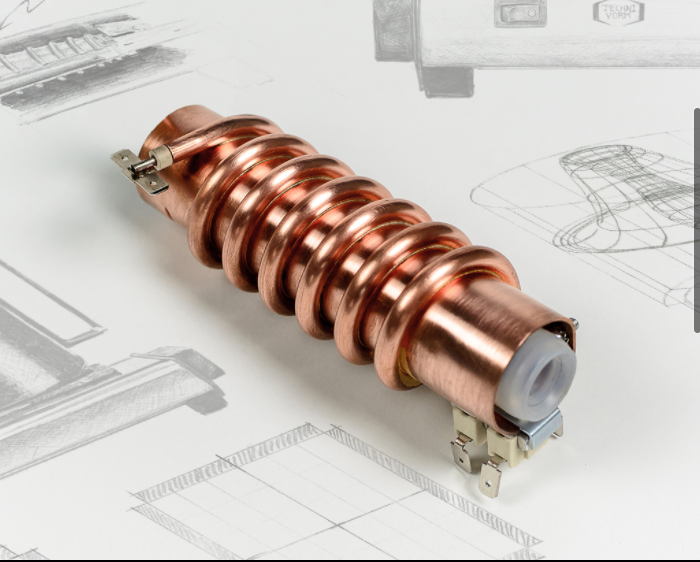 Separate heating elements allows optimal temperature for both brewing and for the hotplate. Scale indicator. Measurements W-D H (mm): 325 x 170 x 355. 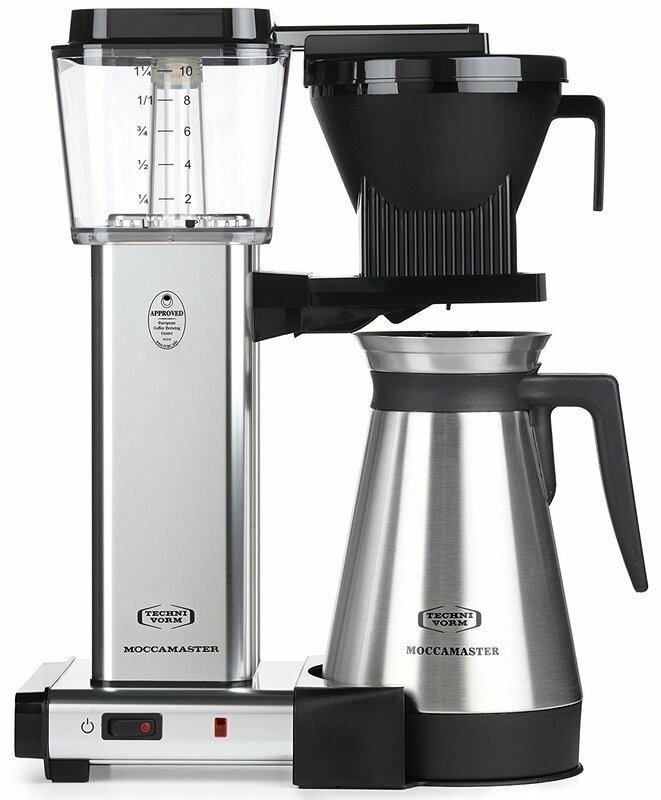 Moccamaster’s has a consistent brewing temperature (196°-205° F), via a powerful and energy efficient copper boiling element. Every brewer is made with a durable metal housing, quality parts that are replaceable and comes with a 5-year limited warranty. In addition, Technivorm’s US based service shop will repair brewers for a nominal fee for the life of the brewer. Parts with the hardest wear are easily replaceable. And all plastics used are recyclable. 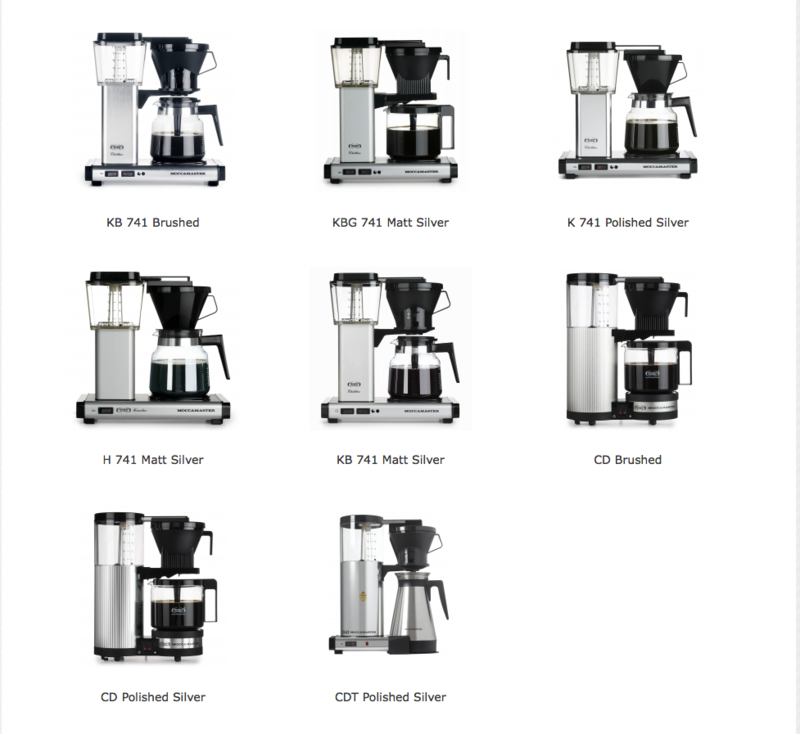 With exceptionally long lifespans and operational reliability, Moccamaster coffee brewers are a safe and sustainable choice that meet even the highest of expectations. We make durable and reliable products that the consumer can fully trust. We take care of our environment by using recyclable materials and by making sure they are energy efficient with a long lifespan. To reflect this, our products have a 5-year limited warranty. The Technivorm-Moccamaster factory is centrally located in the heart of the Netherlands and serves customers all over the world. Every single product meets the electricity requirements of the country they are destined for and are produced under the ISO 9001:2000 regulations. To produce totally reliable equipment, simple to operate, providing the maximum satisfaction to its users through being completely dependable. To contribute towards the resolution of the world’s pollution and waste problems by the manufacture of high quality and energy efficient “long life” products. To use only recyclable or fully degradable materials in the manufacture of our quality products. 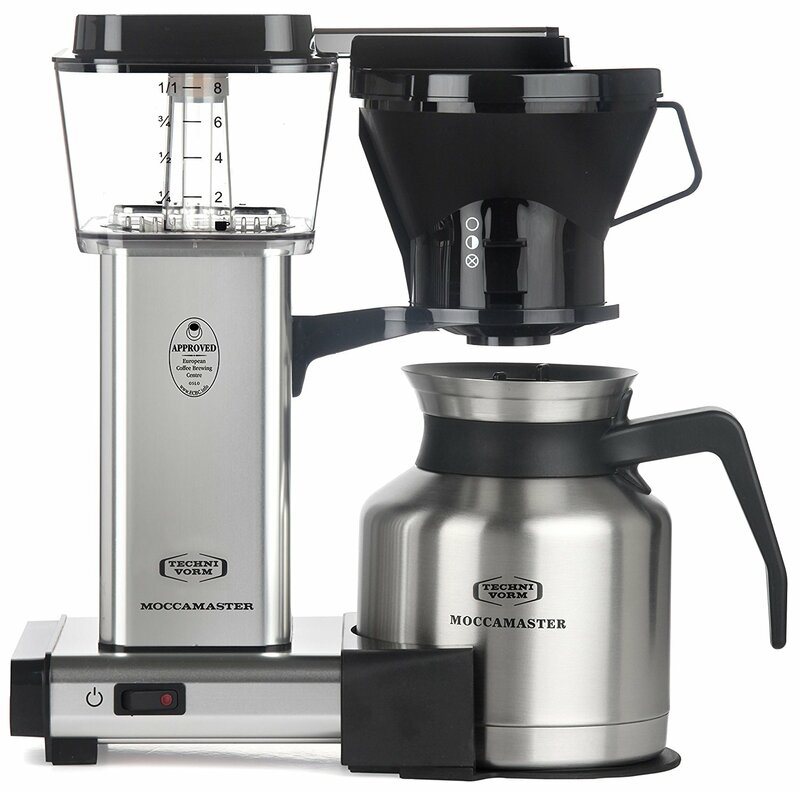 Can the MoccaMaster water tank be emptied, drained, cleaned? Empty any remaining water within brewer by holding it upside down over the sink. Parts that come in contact with coffee have been designed to be removable for cleaning and replacement purposes. 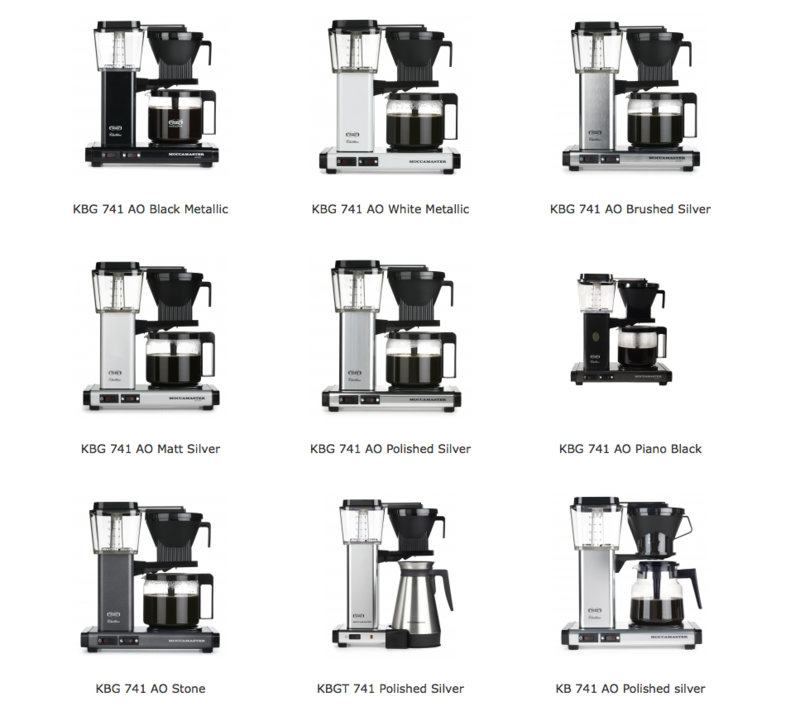 Clean equipment is critical to brewing good coffee. 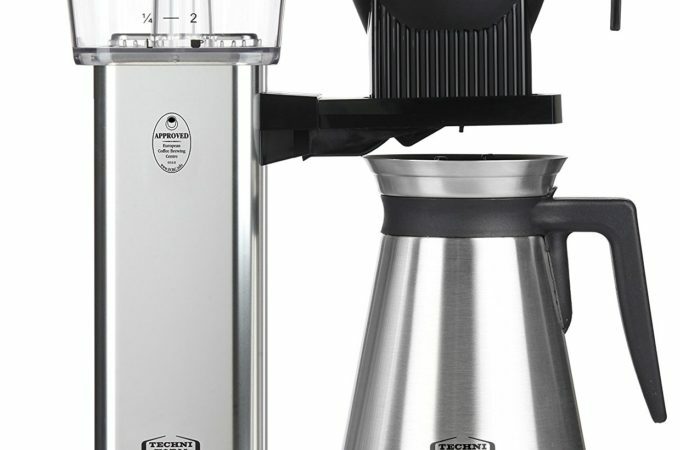 Descaling your coffee maker regularly maintains performance. the brew temperature and saturation time. If not descaled regularly, the brewer can stop working. Descaling products are designed to break down the lime scale and mineral buildup inside your brewer to ensure consistent brewer functionality and great coffee. We recommend the use of DezcalTM by Urnex® for descaling your brewer. Vinegar may not effectively descale your brewer and can be difficult to thoroughly rinse. Vinegar may also leave behind an odor that could affect future brews. Technivorm Moccamaster recommends descaling your brewer every 100 cycles (easily remembered after every box of 100-count filters) or a minimum of every 3 months. 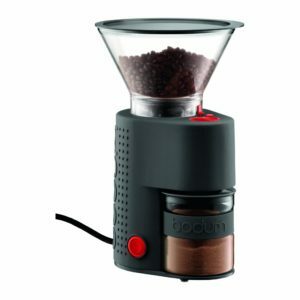 Cleaning powders are designed to remove coffee oils from the brew-basket, carafe, etc. After descaling, run two brew cycles with water. Does the MoccaMaster have a timer? A great cup of coffee starts with cool, fresh, filtered or bottled water and freshly ground or pre-ground packaged coffee to achieve the perfect cup. When water is left in water reservoir overnight, it is depleted of oxygen, which is essential to brewing a perfect cup of coffee. 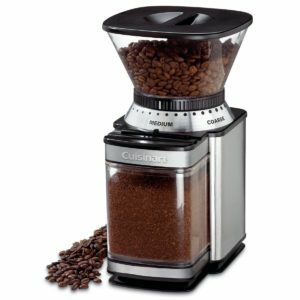 Does the MoccaMaster grind beans?